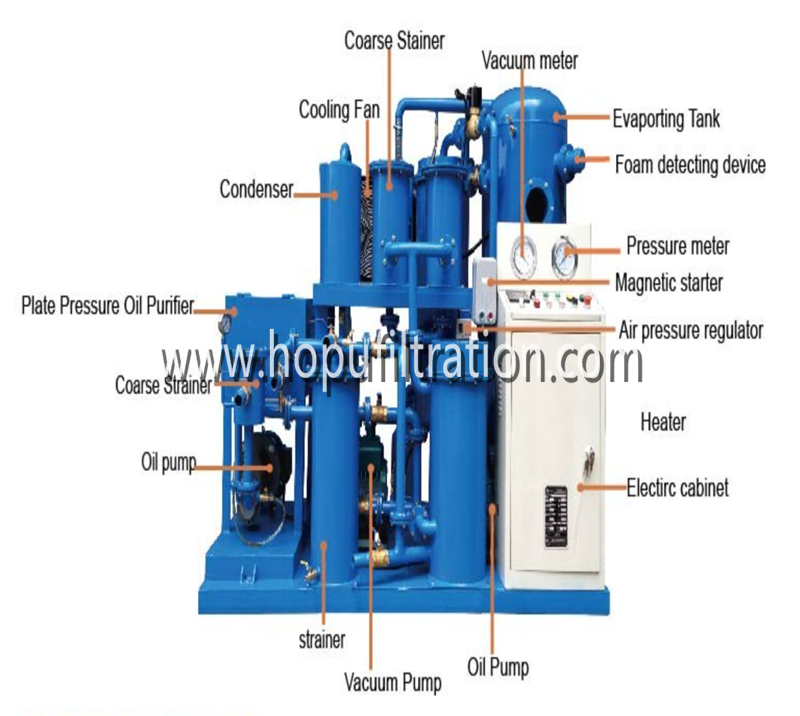 TYH Series Hydraulic Oil Filtration Machine is specially used in the treatment and regeneration of fire-resistant hydraulic oil in the big and medium-sized thermo electric generator speed-governing system. 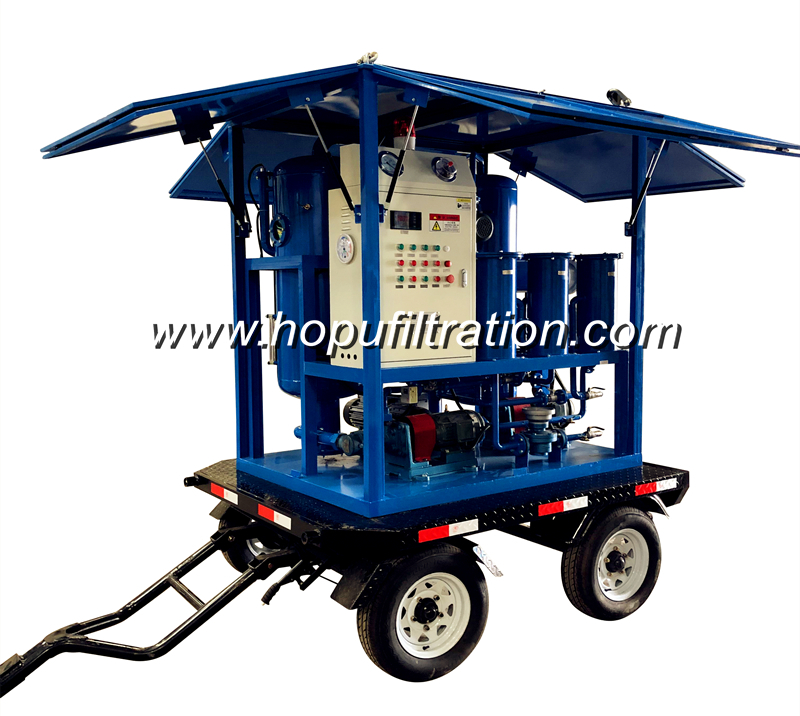 It can remove free water, emulsified water ,suspended solids and dirt from hydraulic oil. Enhances the oil quality, restores the lubricating oil viscosity, augments the flash point and improves the operational performance. Guaranteed the hydraulic system and the dynamic system, the lubrication system normal operation, so the machine is suit for many lines, such as the mine, metallurgy, electric power, transportation, manufactures and so on. 1.Strong capability of breaking emulsification, make the turbid and emulsified hydraulic oil become limpid and clear. 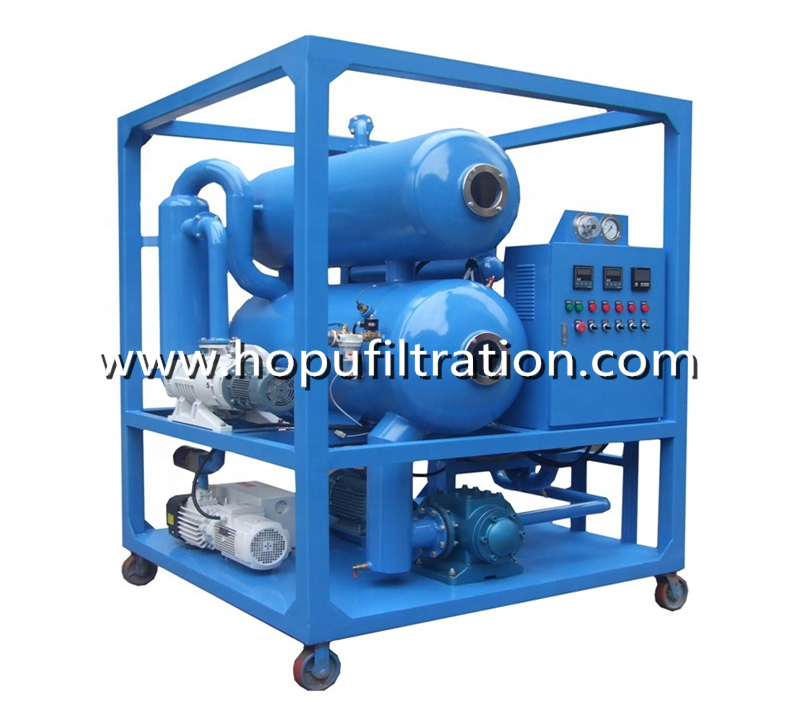 2.The combination of coalescing-separation filter elements and vacuum dehydrator. 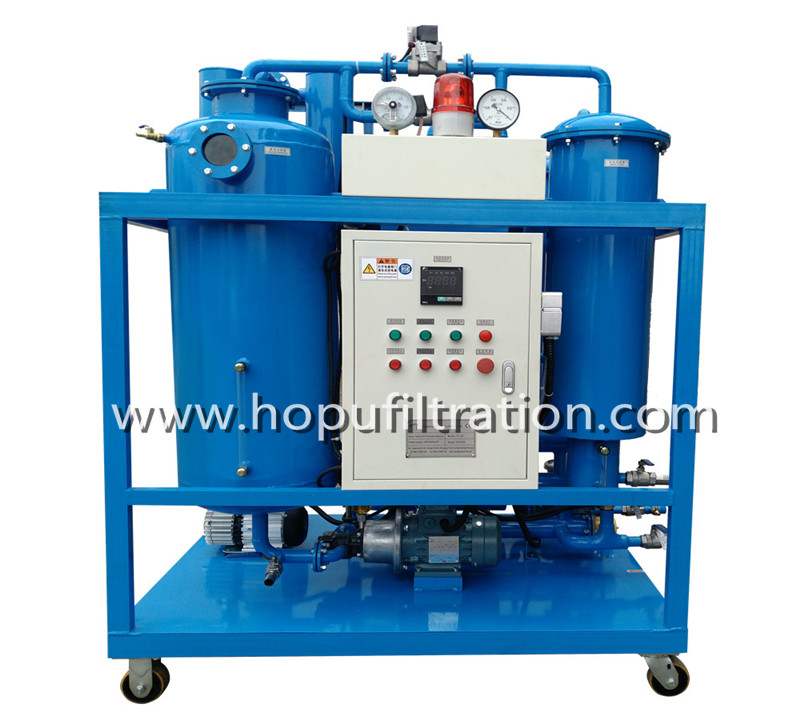 3.Strong ability to filter the impurity, which can filter the particles completely. 4.It has the back flush system, which can clear impurities automatically. 7.We adopt the high quality filter materials, which has a good function in anti-corrosive, thermostable, mechanical strength. Especially, the precision of eliminates impurity is high and the service life is long. Also, it has a large volume for storing the impurities. 8. The unique degas and dehydrator system: Using the Stereo-Evaporation technical, which can separate the water and gas from the oil quickly by the Multi-level water-oil separation technology. Any of your inquiry is warmly welcomed! !